Jeff was great, he was very flexible with our crazy schedules. Went above an beyond. Jeff did an outstanding job of selling our home. He was very thorough, friendly and professional. We would highly recommend him to anyone looking to buy or sell a home. Definitely 5 star service! Jeff was amazing. He was always incredibly responsive and always accommodated us with every request we made. He also provided a lot of insightful knowledge to us about home maintenance during the process. Mr. Drogus a more knowledgeable or professional realtor we could not have asked for. Jeff was there for every step of the way and even when I was not avalible he would work around mine and my wife's schedule. I would recommend him and your office to anyone I know in the market for a house weather it be for sale or purchase. We were going thru a short sale due to unforeseen hardships and Jeff was recommended to us. When he contacted us and started working he was 100% honest and as a Veteran that's very important to me as was his professionalism and forward thinking about what we needed to do on our part. He made sure he kept us informed thru out the entire process, I highly recommend Jeff as a Realator for any sale or purchase of your current or future home. 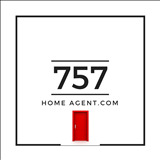 Jeff was extremely helpful and knowledgeable through our home search. He cleared his schedule for us to travel from out of town as a military family and helped us find a house that fit us great quickly. His insight and experience was excellent in ensuring our bid was appropriate and was accepted without any contest. Working with Jeff has been the absolute most useful time yet in my 4 moves so far to effectively use the granted house hunting period from the military.